In the list of build orders on this site there are two standard builds for ling bane hydra, one for the ZvT match-up and one for the ZvP match-up. The builds are somewhat similar as they have similar goals and unit compositions. However there are differences between the two builds. 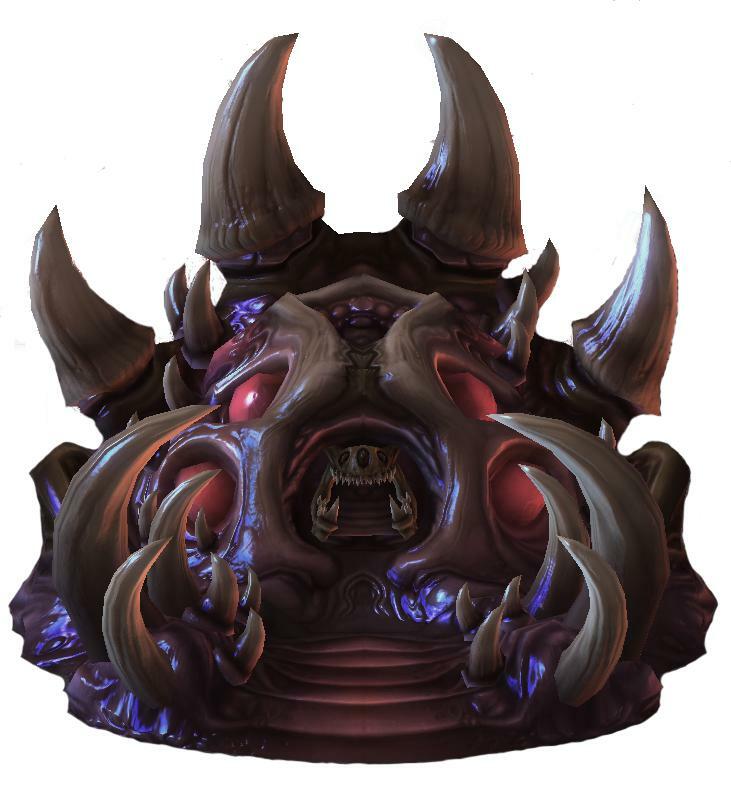 Most notably the Zerg vs Protoss build only gets one evolution chamber instead of two like the Zerg vs Terran build. Now double evolution chamber is certainly a viable option in ZvP and it is used, but there are also many single evolution chamber builds including the one featured on this site. When going double evolution chamber in ZvP, the two upgrades that are most often researched are +1 ranged attack and +1 Melee attack and with single evolution chamber only +1 melee and +2 melee are the focus’. Many experienced players know the reasoning for these desicisions but it isn’t inherently obvious. Armor can be very powerful in StarCraft and it is important to briefly cover how it works. In StarCraft 2, most units have a weapon or attack which has a specific damage output per hit as well as an attack speed or the rate at which the weapon is used. Combined this gives us the DPS or damage per second that a unit deals in StarCraft. As an example, the Zergling has a base damage of 5 per attack with a weapon speed of ~2 attacks/second. This means the Zergling deals ~10 damage per second it is attacking a unit. In many games armor will reduce incoming damage through a percent, however in StarCraft it is a straight reduction. This means that a Zergling that attacks a unit with 1 armor will deal 4 damage per hit and have a DPS of 8. Essentially damage is calculated through the damage per attack of a unit, minus the amount of armor of the unit receiving damage. This means that armor and upgrades are applied for every attack. Terran units often have a high rate of fire and low damage per hit. This is easily seen with the marine which does a measly 6 damage per attack, but attacks 2.5 times per second with a stimpack boost. This means that against marines, armor is applied 2.5 times per second per marine when making big engagements. That is a lot of damage reduction and since marines deal so little damage per attack it will greatly increase the amount of attacks that your Zerg army can take. Protoss units are often powerful units that are high costing in minerals and supply. Consider a Stalker which costs 25 more minerals than a hydralisk or an archon which costs 4 supply, 100 minerals and 300 gas (using high templars, 250/250 for Dark Templars). These units are drastically different from the Terran units, looking at attack speed, stalkers attack a little less than once per second which is incredibly different than a marine which attacks over twice every second. They also cost an extra supply and more resources, two marines will attack 5 times (armor will be applied 5 times) every time a stalker attacks once (armor applied once). This high damage, low attack speed high supply costs is the basis for the reasoning behind not getting carapace upgrades in ZvP. I made an excel chart containing the number of attacks it takes each Protoss unit to kill every Zerg unit. This chart has +3 attack for Protoss to +3 Carapace for Zerg to see the difference armor makes in the matchup. While armor will make an impact often when you have an upgrade advantage, what is important to note is when you are on even upgrades compared to when you have an upgrade disadvantage. Looking at the Zergling, it takes the same amount of attacks from almost every unit to kill when they are at +3 Weapons vs the +0 Weapons. This means if you are on equal upgrades your armor upgrade effectively does nothing. This applies similarily to the baneling and the hydralisk for most units. One unit to note is the roach does benefit from armor upgrades against Zealots, chargelots and adepts but not against archons or immortals. There are instances where the armor upgrades are useful however they don’t come around too often. In general, your fights will go a lot better with ling bane hydra if you have +1 melee and +1 range compared to +1 melee or +1 range and +1 carapace. Finally a lot of Protoss damage done isn’t affected by carapace upgrades. Namely oracle attacks and psionic storm will do the same amount of damage no matter what your armor upgrades are at. It is still good to have the upgrade, you would rather have it than not you just don’t want to commit resources early when it likely won’t have a big impact. However armor factors in more when you have different army compositions and your units are taking damage from a variety of different Protoss units. This one is very important, if you look at the increase in hits it takes interceptors to kill hydras, you will notice that carapace upgrades should be a priortization against carrier based armies (this is also true for corruptors). Ground carapace upgrades are often useless against Protoss armies because Protoss units have high damage output and low attack speeds. This means armor is applied less often and due to the lower health pools of Zerg units (namely Zerglings and Baneligns) your units will often die in the same number of attacks (same amount of time) without the carapace upgrades. It is much better to focus on offensive upgrades in ZvP because allowing your army to deal more damage faster is much more relevant in the matchup and in every engagement or fight. Units like the oracle are left off the charts since upgrades don’t affect their attacks. (Oracle, high templar storm etc).